e! 's annual summer sale has started! You can grab a bargain on ALL the clothing at the mainstore. This includes all colours and fat packs. This sale will continue through until the 17th of August. TP to e! 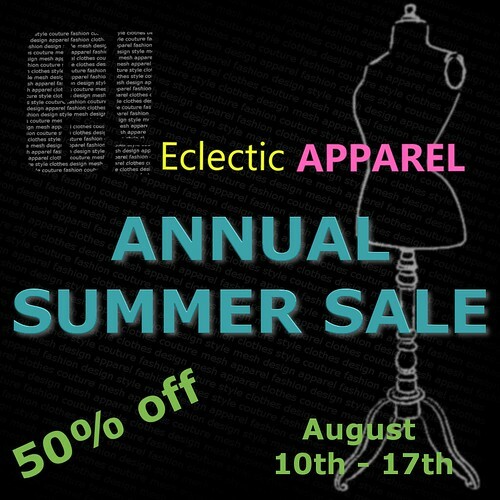 Eclectic Apparel to grab all the goodies!